This statistic shows the solar photovoltaic capacity installed and connected in Luxembourg from 2013 to 2017. 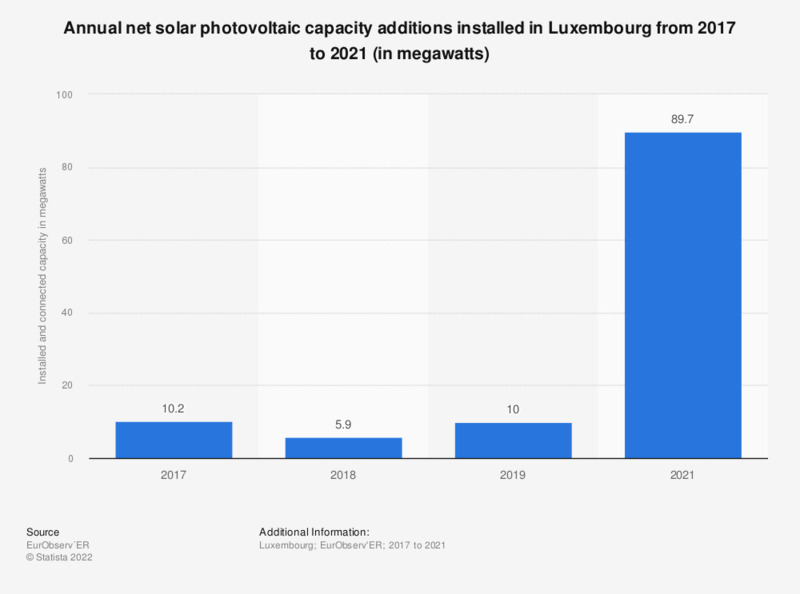 In 2017, the solar photovoltaic capacity installed in Luxembourg was just five megawatts. This was the lowest capacity recorded during this time period. Data from 2013 to 2017 was taken from a previous report.